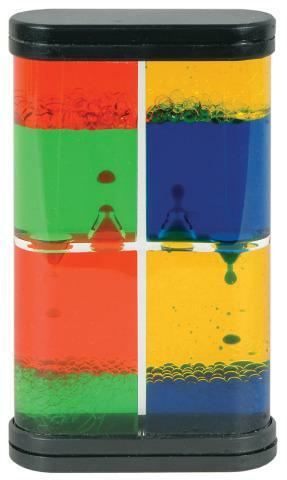 The random patterns of this liquid motion toy are mesmerizing! Simply turn over to start the motion again. Colors vary. Contains nontoxic solvents and oils and is nonflammable. Dimensions: L: 3" x W: 1" x H: 5.25"